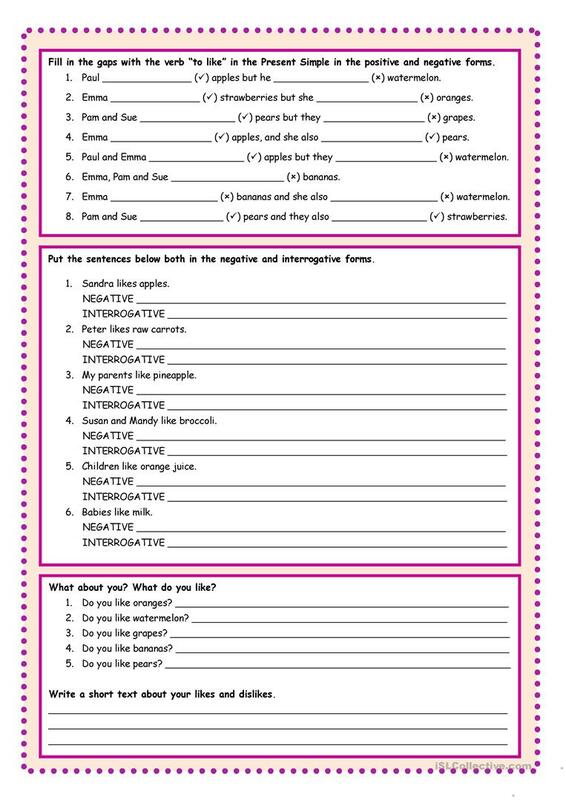 A nice worksheet to practise positive, negative and interrogative forms of the present simple. This printable, downloadable handout is a great resource for high school students and elementary school students at Elementary (A1) and Pre-intermediate (A2) level. 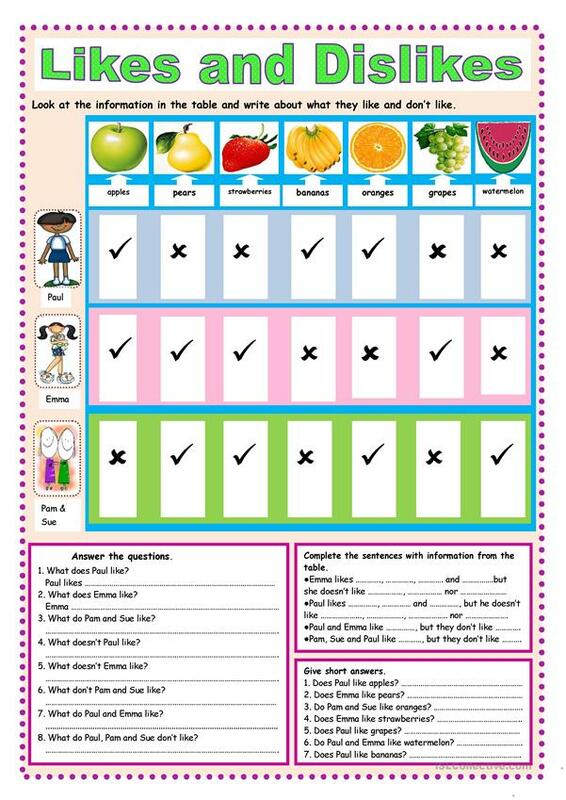 It is useful for honing your learners' Writing skills.